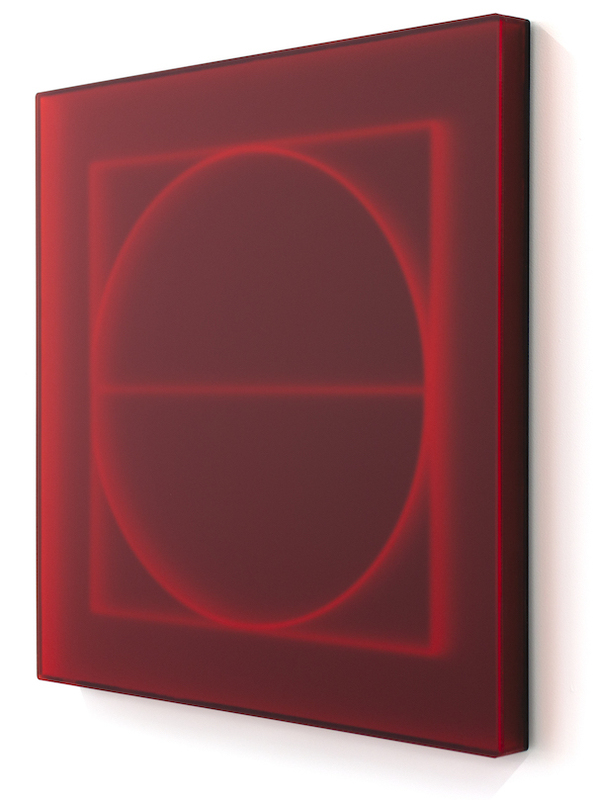 Kāryn Taylor, Square Circle Halved, Cast acrylic, edition of 3 + AP, 60 x 60 x 4cm. Courtesy: the artist and Millers O’Brien, Wellington. Kāryn Taylor takes the square and the circle (a representation of matter and creation) and the three primary colours (red, blue and yellow) as the building blocks for this new exhibition. Through these wall-based and installation works Taylor explores the geometry of the Mystery Schools, a geometry that supposedly influences not only this physical domain but also that of higher dimensions, describing the intrinsic order of the universe. The square representing the physical world and the masculine, and the circle representing unity and the female, together they are said to contain 360º of all truths.